Having a sliding door in your home is one of the best ways to connect to a patio or deck area if you have one. Sliding doors can sometimes be used to separate or connect rooms too depending on the situation and homeowners preferences. Sliding doors offer great utility for getting larger items into your home that are larger than standard door frame dimensions. Sliding doors are also often referred to as sliding glass doors because they are essentially giant panes of sliding glass. Depending on the size of wall you are trying to convert to effectively being large wall sized windows which open you can end up having one or two doors that slide open. When connecting to the exterior of your home you can usually expect to have a sliding screen door also which help with air flow as well as keeping pets and kids in or outside. 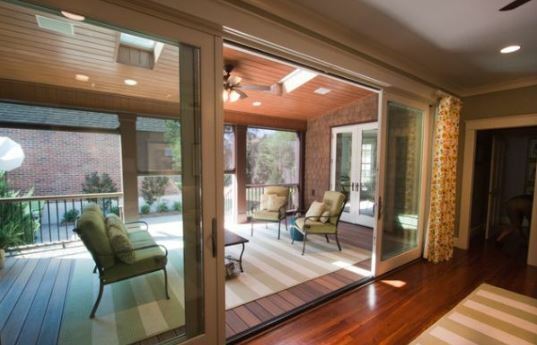 Sliding doors are popular for connecting decks and patios to your home and also let a lot of light in acting as windows as well. They can be difficult to keep clean especially if you have small children who will likely smudge it up with their handprints or pets with their wet noses and paws but they are well worth the investment and improvements they offer. If you’re considering taking out your standard back door and opening the wall up to have a new sliding door installed or if you need a sliding door replacement for your Virginia home then give us a call for a free quote or in-home estimate. Our trained professional staff will make sure to cover all the options you have before settling on just one style of material. When it comes to fast and affordable home door services you can count on Beckworth LLC.